After reviewing the two prototype class at the Le Mans 24 Hours this year, now it’s time to focus some attention on the two GT classes that competed in the 24 Hours. First up is the GTE Pro category, a class aimed at professional drivers and manufactures, something this class contained in abundance. After a difficult 2013 Le Mans 24 Hours for Ferrari, some Balance of Performance breaks and renewed commitment to re-claim their 2012 GTE Pro category win conspired to ensure both AF Corse factory assisted entries were competitive from the moment the green lights switched on to start free practice on Wednesday.The team gave a statement of intent with class pole for this #51 entry, and from the start of the race they proved difficult to move from the top spot. All 3 drivers drove like the experienced, professional and seriously quick GT drivers that they all are, therefore based on their qualifying pace it appeared only driver error or mechanical problems were going to stop this team claiming the GTE Pro honours. The team experienced a relatively clear run throughout the race, as they sauntered to a one lap victory over the #73 factory Corvette entry. This team had a truly outstanding race and will be hoping the 2015 Le Mans 24 Hours is as comfortable as this victory. 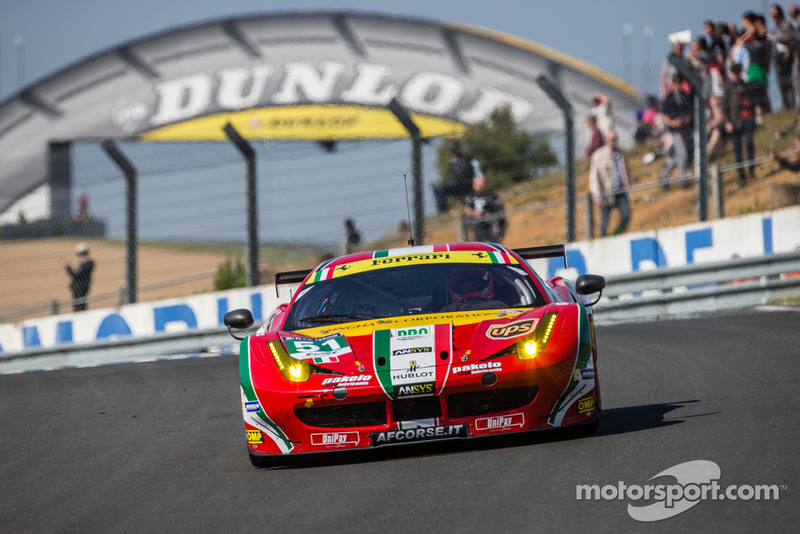 For the other AF Corse entry, things didn’t quite go as smoothly for them as their sister #51 entry as they were forced to overcome a big drama before the 24 Hours had even begun on Saturday. In the Thursday evening qualifying session Le Mans rookie James Calado suffered a big accident, with the impact enough to give him concussion and force him out of the race. Therefore the team set to work with building a new car and drafted in experienced Ferrari GT racer Pierre Kaffer to replace Calado. From here their lowly qualifying position mattered little to the team, as they hoped a clean run in the 24 Hours would bring them back into contention. Alas, this car’s bad luck continued into the race as it unfortunately became and early retirement after only completing 28 laps. This team was understandably gutted that they couldn’t show their tremendous potential in the race and will be keen to show their pace in the remaining round of the World Endurance Championship this year. This team was hoping to inflict a shock in the GTE Pro class as they hoped to score a decent result against the hordes of factory GT teams and drivers. Their privateer Ferrari had an all star cast of drivers to help with this and in qualifying they almost showed their potential as McLaren factory GT driver Alvaro Parente was on course for the 2nd fastest time in GTE Pro in Thursday evening’s qualifying session, before he spun off and struck the wall at the first Ford Chicane. The car was extensively damaged and whilst they sat out the rest of qualifying, the car was ready for the race. The team was making good progress with the Ferrari in the opening few hours, and appeared on course for a comfortable top 6 finish in class as they emerged unscathed from the opening few hours of the race. Things were not to last for the team however as they were forced to retire after completing 140 laps. For this team they showed potential during the week, yet will need much better luck in 2015 if they are to seriously challenge the factory entries in this GTE Pro class. 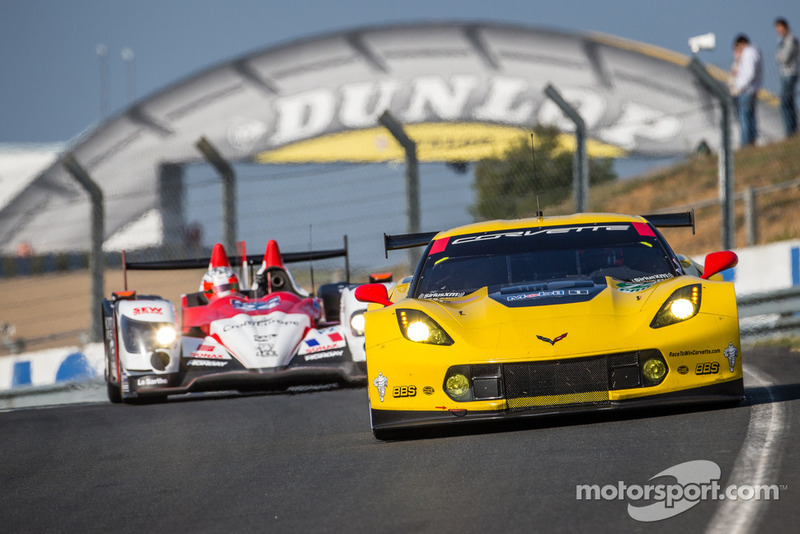 For both factory Chevrolet Corvette entries, the Le Mans 24 Hours week got better as it went along, as the Corvette’s looked off the pace slightly on the opening day on Wednesday. Come Thursday they began to show their speed with this entry claiming 2nd in class once qualifying was completed on Thursday night. From it’s 2nd grid spot the #73 entry then proved the most consistent challenger to the leading #51 Ferrari, despite the #92 Porsche holding 2nd in class for a while. Yet the Ferrari always seemed to have the a slight edge on speed over the rest of the class, therefore despite the Corvette cars throwing everything at Ferrari they had to eventually settle for 2nd in class and 16th overall, a lap behind the victorious AF Corse Ferrari #51 entry. Nevertheless, a close 2nd in class in the new shape Corvette C7.R’S first Le Mans 24 Hours is very promising and you can never discount the factory Corvette entries at Le Mans. For the #74 Chevrolet Corvette C7.R, they proved very evenly matched with the #73 entry in terms of pace, yet the #74 entry seemed to suffer slightly more issues during the 24 Hours than it’s sister entry, which explains their 4th place in class and 20th overall once the chequered flag came out on Sunday afternoon. For the all star line up of drivers for the #74 car the result must of been slightly disappointing considering the pace this car had, although the team will be hoping to fully show their pace in the remaining United Sportscar Championship rounds, and will be hoping to come back much stronger to Le Mans in 2015. This #79 Prospeed entry would have easily won any Ironman award at the 24 Hours if such a thing existed, as they suffered huge misfortune during the week. The team initially entered the GTE Am class, yet in Thursday evening’s qualifying session Am driver Bret Curtis hit the tyres at the Dunlop chicance, and whacked his head on the roll cage, giving himself concussion and ruling himself out of the race. The team frantically searched for an available Am driver, yet the one they lined up was refused by the governing ACO, forcing the team to complete the 24 Hours with only pro drivers Bleekemolen and MacNeil. Considering these circumstances and their move to the GTE Pro category, the fact the team finished the race is an incredible achievement which in my opinion was highlighted enough post-race. Both drivers must have been satisfied to simply finish and will be hoping next years 24 Hours is a lot less hectic for them. A truly incredible performance. 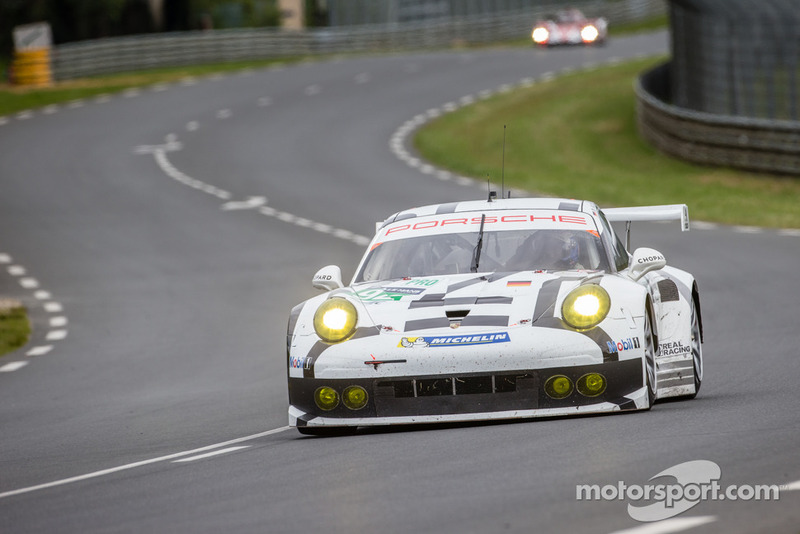 For the two factory Porsche GT entries, they were hoping to continue the success they achieved at the 2013 Le Mans 24 Hours, where they took class victory after a hard fought battle. Frustratingly for Porsche it seemed in 2014 the rest of the GTE Pro class had caught up with Porsche as both factory entries were mired in the GTE Pro midfield after qualifying. From the start of the race the two Porsche’s were hoping to make up ground, yet for this #91 entry this proved very hard as the team was beset by a few problems during the race, which left them well behind the GTE Pro pacesetters. Despite a very impressive line-up of factory Porsche drivers the obstacles were too much to overcome and this car eventually finished 7th in class and 36th overall. The team and especially this #91 entry will be hoping for much better next year. Of the two Porsche entries in GTE Pro, it was this #92 car that had the more comfortable run in the 24 Hours as they ran largely problem free until the later stages of the race. The stellar cast of drivers in this car were therefore able to exploit the pace of the Porsche 911 as they held 2nd in class for a long period of the race. Just as the team began to think of a possible 2nd in class however, a engine problem left the team lacking power for the final few hours of the race. Whilst the car was able to continue running, the reduced pace meant the #73 Corvette was able to pass them in the final few hours, relegating the #92 Porsche to the final GTE Pro podium spot. Whilst anything other than victory at Le Mans for Porsche is a disappointment, the team can at least be satisfied they scored decent points for the WEC and will be hoping to challenge for class honours in the remaining WEC races. 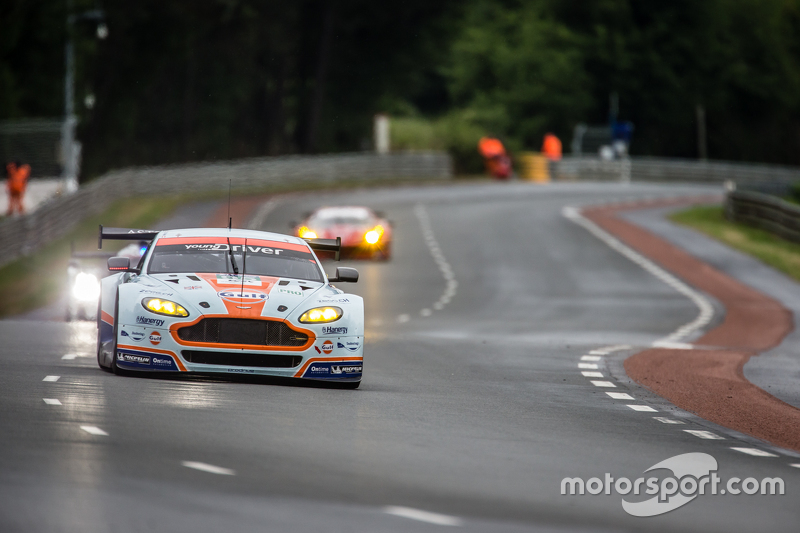 Worries from Aston Martin that their poor showings in the two previous WEC races would carry over to Le Mans, proved unfounded as they returned to their usual position in GTE Pro of fighting to class victory. 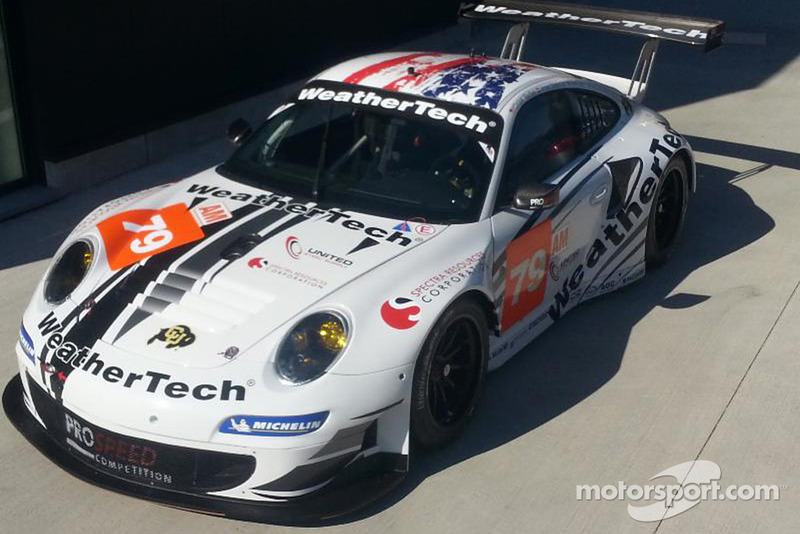 This #97 car qualified 3rd in class and remained in podium and victory contention through the first half of the race. After battling the #51 Ferrari for class honours through the first half of the 24 Hours, their challenge wilted during the night as the car suffered a similar power steering failure to the team’s other entries. From here the car soldiered on to the final chequered flag, eventually coming home 6th in class in class and 35th overall. For the very quick professional drivers in this car this result is a disappointment, yet the team can take massive positives in the fact they returned to the competitiveness and will be hoping to carry this over into the final round of the WEC. 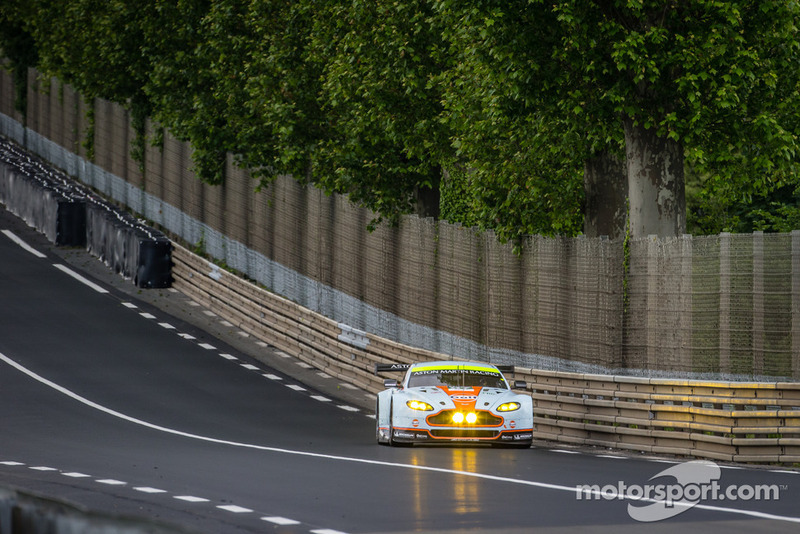 For this #99 Craft-Bamboo/Aston Martin team the Le Mans 24 Hours provided the ultimate heart break, as the team’s Aston Martin looked strong in GTE Pro after Wednesday’s qualifying session. In the most cruel fashion however, for the #99 entry this is a far as their race week got after Fernando Rees suffered a big accident at the Porsche curves in Wednesday night’s qualifying session. The car suffered substantial damage and despite the team trying everything to find a new chassis they were unable to locate one and get it to the track, forcing the team to make a late withdrawal just days before the 24 Hours. For the team and drivers it was the ultimate heart break, although they can take solace from their promising showing on the first day. The team will be hoping to carry over this promise into the final WEC rounds now. 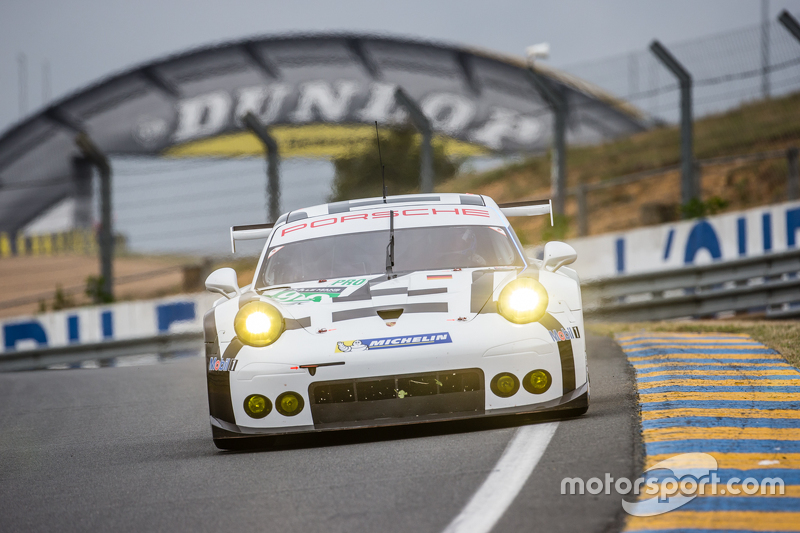 That’s my review of the 2014 Le Mans 24 Hours according to the GTE Pro class. Next up is a two part review of the highly competitive GTE Am category, so stay tuned in the next few days. Finally once again huge credit goes to http://www.Motorsport.com for their amazing, high quality photos, they really are worth a look for anyone interested in racing. Enjoy! After previewing the LMP1 and LMP2 prototype classes now it’s time to switch my focus onto the GT classes. First up is the GTE Pro series, which this year is mostly the domain of factory teams. This year see’s 4 manufactures take each other on in what should be a very tense battle, as they fight for the all important class victory. 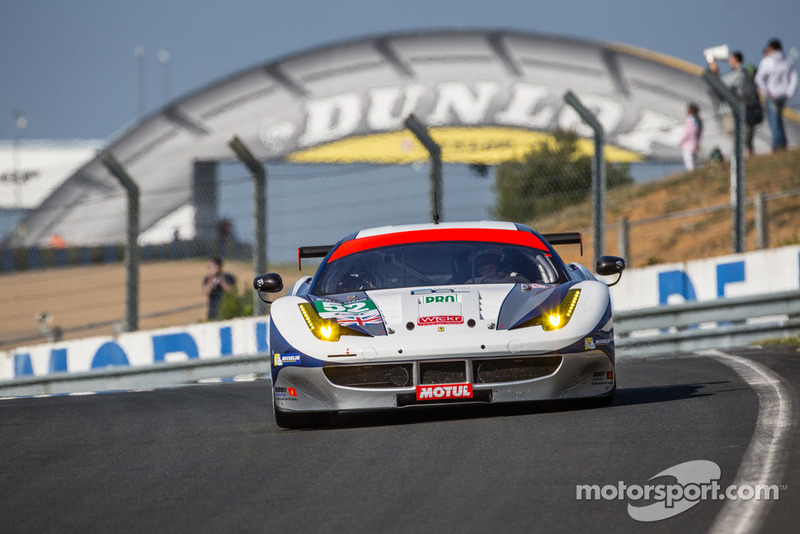 The #51 AF Corse entry has been a winner so far in the World Endurance Championship in 2014, yet the team could struggle with the Ferrari at the Circuit de la Sarthe. Indeed, last year’s race for Ferrari may just end up repeating itself as all GTE Pro cars were frozen in 2013 spec before the start of this season. This therefore doesn’t bode well for AF Corse as they struggled to match the pace of Aston Martin and Porsche. AF Corse can never be discounted however, especially this #51 entry which comprises the same line-up that won this class in 2012. Ex-F1 driver Giancarlo Fisichella joins Gianmaria Bruni and Toni Vilander. These 3 are very quick in GT Ferrari’s and expect them to still challenge the pacesetters in the class, despite a car that most likely will be the third best car around the Circuit de la Sarthe. The second of the factory supported AF Corse entries is the #71 entry, which blends experience with youth for Le Mans with Olivier Beretta bringing his vast GT racing experience to complement young chargers Davide Rigon and in particular James Calado. Although Calado and Rigon have little GT experience expect both of them to fly during the race. 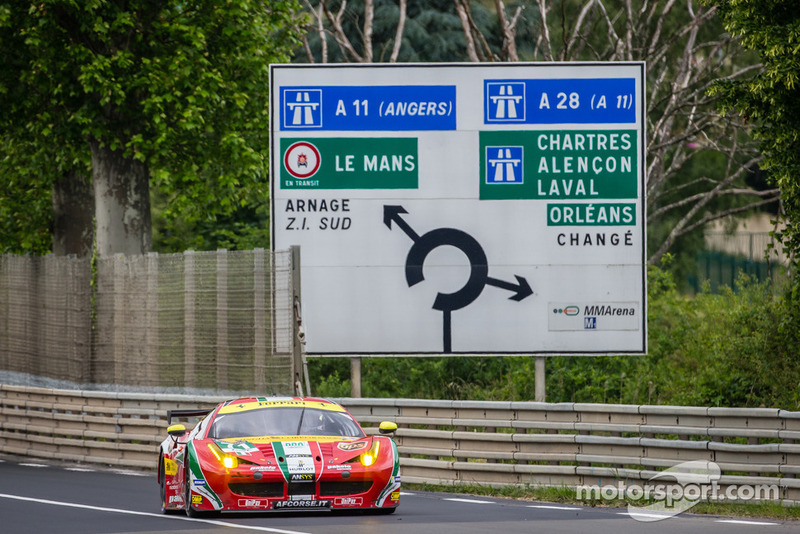 As I mentioned above the Ferrari’s don’t appear to suit the Le Mans circuit, meaning the most likely route to victory for AF Corse will be a reliable and trouble free run, rather than on outright pace alone. For the RAM Racing team, 2014 promised so much for this plucky privateer team, yet so far it has delivered little as the team have struggled through the year with financial issues. These issues have severely hampered their Le Mans 24 Hours efforts as they were forced to miss the last WEC race at Spa to be confident of making the 24 Hours. Funding has also affected their driver line-up with experienced racer Ben Collins being replaced by the ex-single seater driver Federico Leo in the run up to the event. For the only privateer team in the GTE Pro class things were always going to be tough against the might of factory Ferrari, Porsche and Aston Martin entries, as they fight an uphill battle to challenge the factory outfits in GTE Pro. Luckily for RAM racing they have three very quick GT drivers to share the car, including on-loan McLaren GT factory driver Alvaro Parente. Expect this car to shine in their hands but for this team a top 5 result in GTE Pro would be good but they’ll need a reliable run to achieve this. The enormously successful Corvette racing team returns to Le Mans after a bruising 2013 24 Hours where there were far behind the leading pace of Aston Martin and Porsche. This year they aim to rectify this with a brand new C7.R model Corvette, which has so far proved very competitive in the American Tudor United Sportscar Championship, with arguably the most competitive GT class in the world right now. 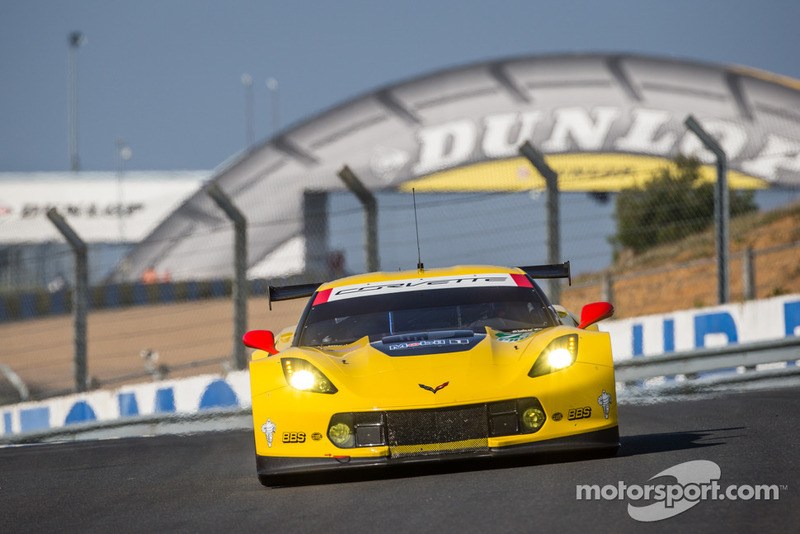 If the C7.R can adapt to Le Mans quickly expect this team to be right at the front all race long. Certainly they have the driving talent to be at the front with the #73 being crewed by vastly experienced racers Jan Magnussen and Antonio Garcia, perfectly complementing the outright pace of youngster Jordan Taylor. Although he’s had little running in the new C7.R, if he can adapt quickly to the car and track, expect this car to fight for the class win. The second of the factory Corvette entries is again piloted by an impressive line-up of Corvette racing stalwart Oliver Gavin alongside Tommy Milner and Richard Westbrook. This line-up is as strong as any in this class and most importantly if the new C7.R can prove reliable over 24 Hours they will certainly be fighting for the class victory. The reliability of this new car is very important as the team suffered reliability problems in it’s racing debut at the Rolex 24, something they’ll hope will have been rectified by this time next week. 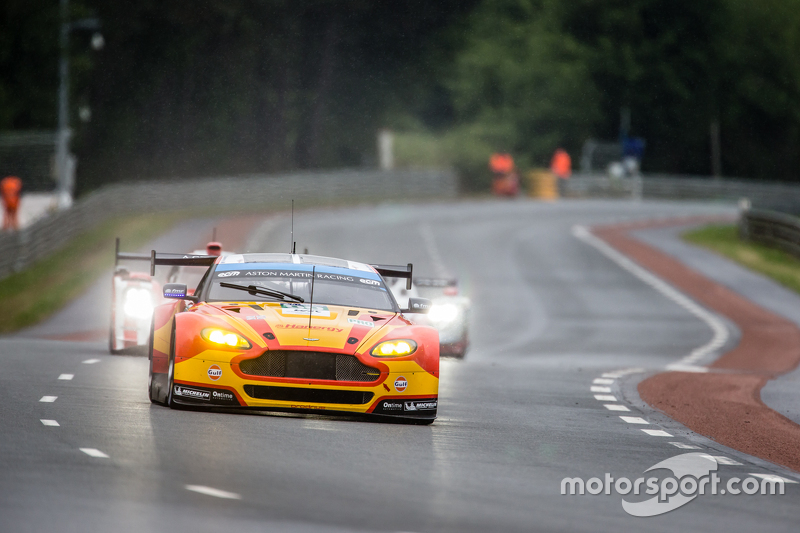 Their performances in the race will be one’s to watch out for in the hotly contested GTE Pro category. 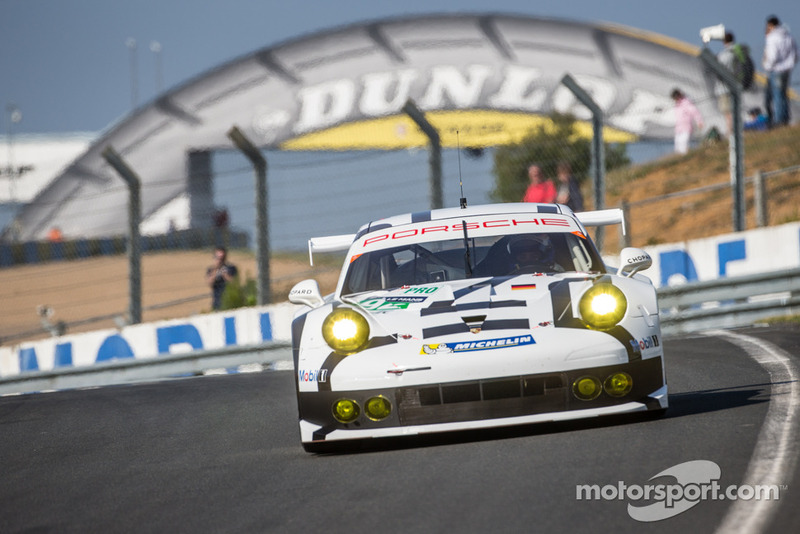 The Manthey Porsche team will be hoping for a repeat of their 2013 class win at the Le Mans 24 Hours, with continuity being the name of the game with Porsche as they keep the same band of drivers,car and team for their 2014 campaign. Although there have been Balance of Performance tweaks since last year’s 24 Hours, the Porsche 911 appears to still be the car to beat going into the 2014 edition. The only relative difference for this #91 entry for 2014, is the promotion of Porsche factory driver Nick Tandy to the factory team, after spending the last few years impressing on assignment with various Porsche customer teams. Alongside fellow factory drivers Patrick Pilet and Jorg Bergmeister both Porsche entries must surely go into the event as pre-race favouries in the GTE Pro category. The second of the factory Manthey Porsche’s is piloted by a stellar line-up of factory drivers in Marco Holzer, new signing Frederic Makowiecki and Richard Leitz. Both Porsche entries have proved fast and reliable so far in 2014, and whilst the headlines have been taken by their return to the LMP1 category for this year, the team is adamant the GT racing group is entirely separate from the prototype division. This should ensure the team are in the perfect position to replicate their class victory from a year ago. Anything can happen at Le Mans however. 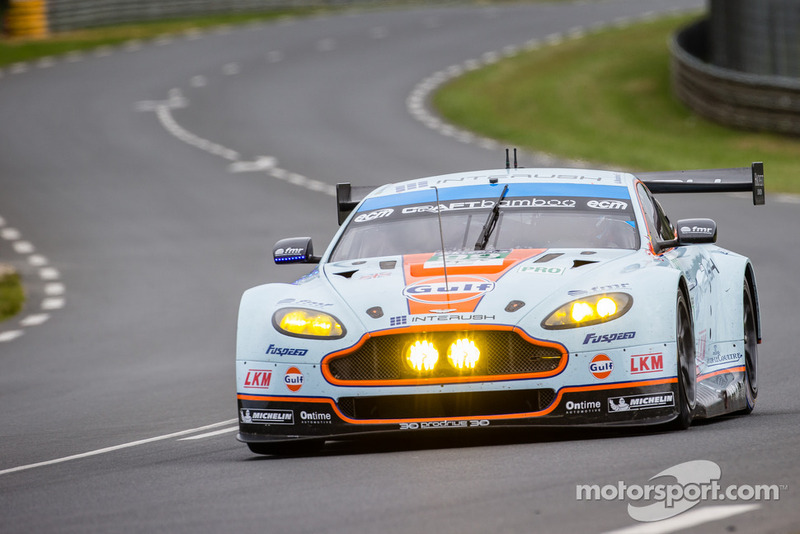 Similarly to Porsche, Aston Martin returns to Le Mans in 2014 with mostly the same group that gave Porsche an almighty challenge for class honours last year. The factory team brings two entries this year and so far both have struggled in the WEC with Balance of Performance tweaks, which the team feel have blunted their challenge in an unfair manner. 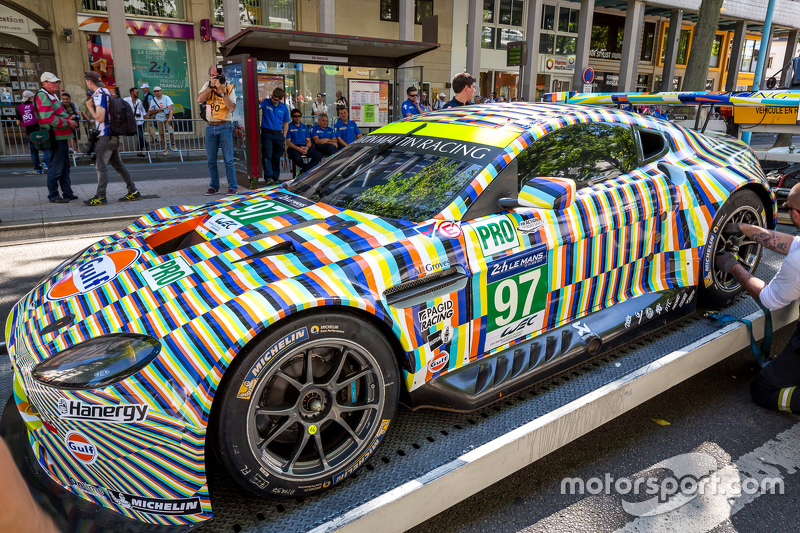 Some in the paddock question however is Aston Martin have simply been sandbagging before Le Mans, the truth will only appears once qualifying for the 24 Hours starts on Wednesday. On the driving front the #97 entry will lead the way with GT stalwarts Darren Turner and Stefan Mucke partnering Bruno Senna for Aston. Whilst Senna may appear a slight weak link with the little running he’s done in the car this year, expect all 3 drivers to be right on the pace throughout the race. Reliability should not be a problem in this well proven car therefore it will be down to the drivers to make the difference needed for class victory. The second of the works Aston Martin entries this year is a collaborative effort between the works Aston team and the Asian based team Craft-Bamboo. This link-up explains the driver line-up of Bamboo linked drivers Alex MacDowall and Darryl O’Young to partner experienced Brazilian Fernando Rees. Whilst the driver line-up may slightly hamper this car in a class full of factory GT drivers, if the pace Aston showed last year has remained intact and the car can stay reliable, expect this team to provide glimpses of promise in the race with a top 5 result a real possibility. That’s it for the GTE Pro class, although the entry is relatively small the 4 factory outfits will be fighting right until the end for the class victory. This is exactly why anyone watching the race should always keep an eye on the GTE Pro fight as the race develops. Once again massive thanks must go to http://www.motorsport.com/#!/lemans for their amazing photos once again all the latest Le Mans 24 Hours news can be seen on the link above. Keep posted for the GTE-Am preview in the next few days. Enjoy!